We got invited to a dark and mysterious show that was held in one of Shibuya’s underground clubs. Leonard Wong took us on a mythological VIP journey with his A/W 2017 collection. Both show and collection are inspired by a myth of the twin Greek gods: Artemis x Apollo. They are known to be polar opposites. Artemis is the moon and Apollo is the sun. While both give the light, they are greatly different. You cannot have one without the other, they preserve the World's harmony. This myth perfectly symbolizes the collection, as it is the first men and woman show. It started with a projection of a short movie about the relationship between the twin gods. A very intriguing project filmed in an aqueduct 28 meters below Tokyo. 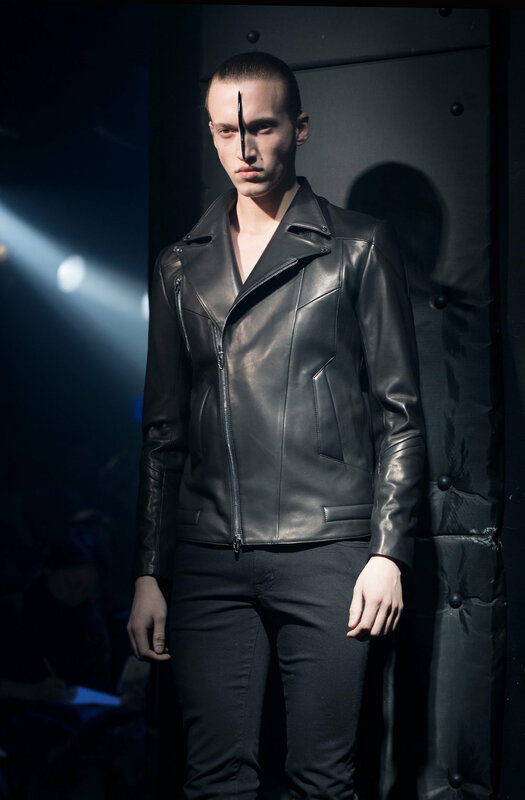 The collection mostly consists of a range of perfectly sculptured jackets, made from a wide variety of Wong’s favorite fabric- leather. With an exception to the moon inspired dress, worn by a fearless Artemis herself during the show.